The DJI DropSafe Drop Speed Reduction System has been designed to lower the speed of your aircraft in the event of an in-flight failure of a flight critical part, the DropSafe system can be deploy in less than half a second and becomes effective at only 6 meters above the ground reducing the risk of an expensive repair bill. 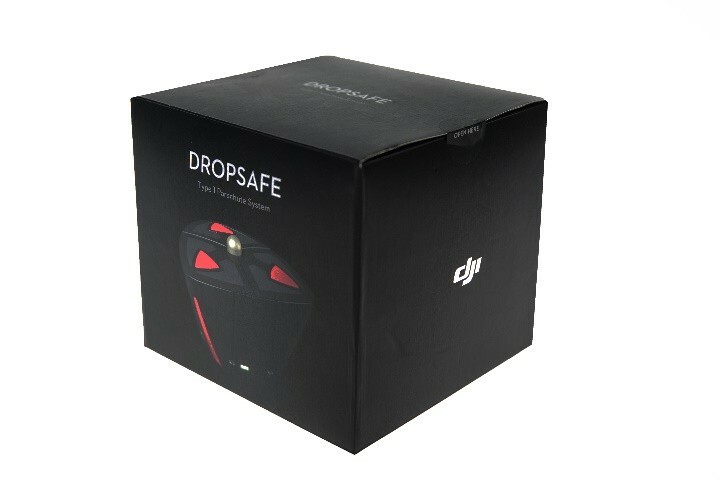 DJI’s DropSafe system has been designed to work with the DJI S900, S1000 & S1000+ systems; it weighs only 550 grams and can be used many times with a replacement co2 gas canister. 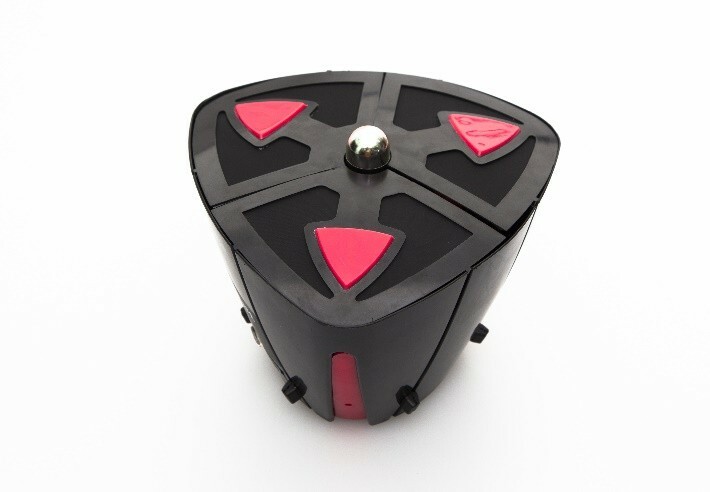 The dual safety system on the DropSafe ensures that there is no accidental deployment. The first level of protection is a delayed arming process; this will prevent any triggering event for 9 seconds from powering the DropSafe system. The second level of protection on the DJI DropSafe is a mechanical safety pin, this pin is a physical barrier between the triggering pins, and the pin must be removed before each flight and replaced after each flight has been concluded. Failure to remove the pin will prevent the system from operating. 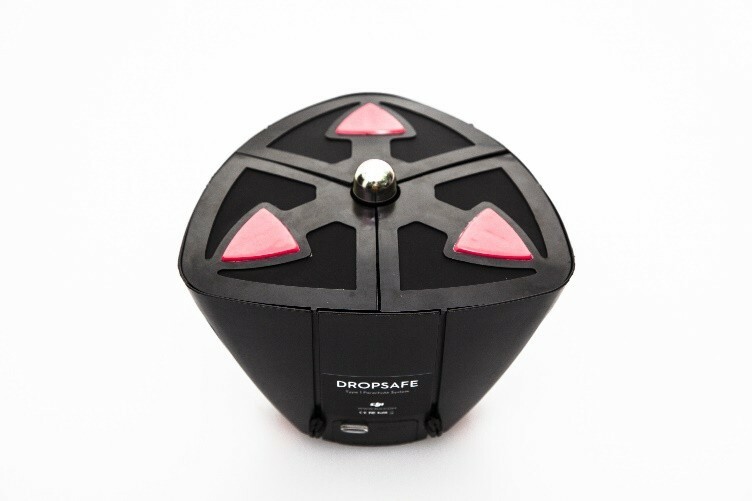 The Drop safe has status LED colours to inform the pilot of its current status, when the green LED is on the system is armed and ready for use, if any other LED colour is seen please consult the documentation for the DropSafe system. DJI Spreading Wings S900, DJI S1000 Octocopter Premium & S1000+ is not recommended, users of the S800 and S800 EVO can use the DropSafe system if the airframe weight is lowered, however this application is not recommended by DJI. DropSafe is fully compatible with the DJI A2 flight control system, when used together, the DJI A2 will support command inputs from RC transmitter and the motor power can be set to automatically cut off when the DropSafe is deployed, this will help to deploy DropSafe in the quickest way and offer the greatest level of additional protection. 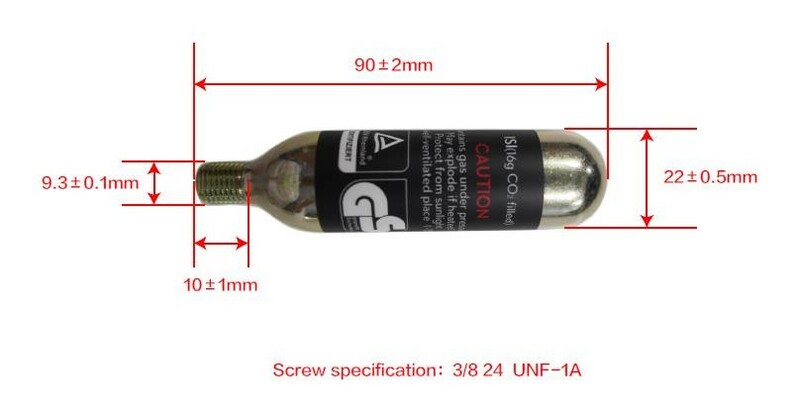 The co2 gas canister is not supplied with DropSafe and needs to be supplied / sourced / shipped without a gas canister installed; a standard 16 gram canister is needed (please see images above for more information on size requirements). DropSafe one requires one canister to be fitted to operate.